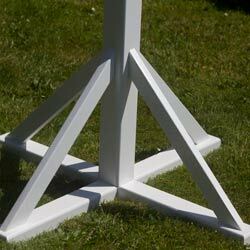 Painted oak signs and painted posts have increased in popularity by huge amounts in the last year. 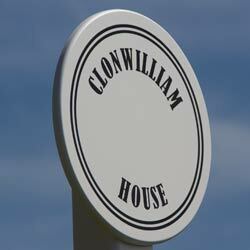 While the signs and posts have a clean modern feel there is something very traditional about them. They take you back to a time before vinyl lettering and aluminium signboards even existed. 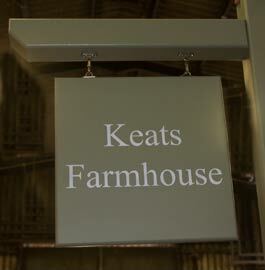 Both the signs and the posts are available black, white and in a good range of heritage Farrow and Ball colours. We can match other colours too. Normally posts come ready to be buried into the soil. 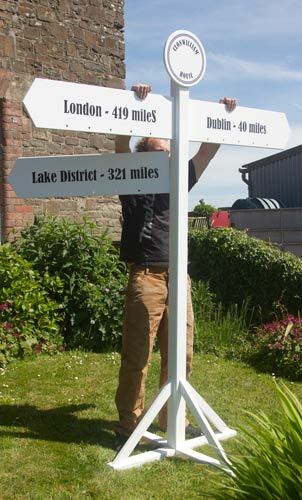 (at least 450mm) However we are sometimes asked for free standing fingerposts. Our carpenter can created a free standing oak base £145. 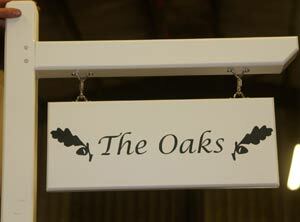 The signs can be made from oak or from Tricoya - a tough and waterproof wood based board. 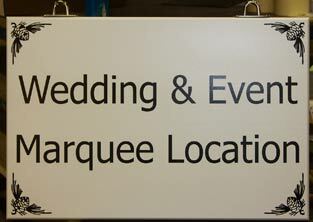 Alternatively just send us an email - sales@sign-maker.net - telling us what you are looking for. Our carpenters can make it just the way you want it. The paint we use for painted signs is a very hard wearing polyurethane paint which is mixed with a hardener mixed in before spraying. We use this paint for the lettering and the backgrounds. 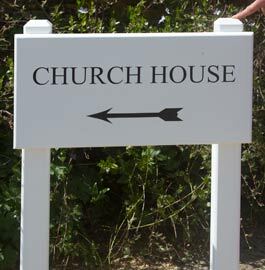 The standard colours are White, Black, Grey (F&B Purbeck Stone), Green (F&B Lichen) Gold is also standard for the lettering. For other colours click here - Stock Colours. Made in the UK. 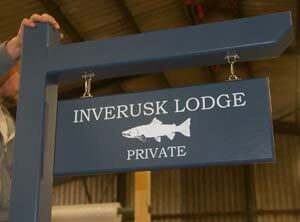 Our team at The Sign Maker looks forward to helping you with painted signs and posts.